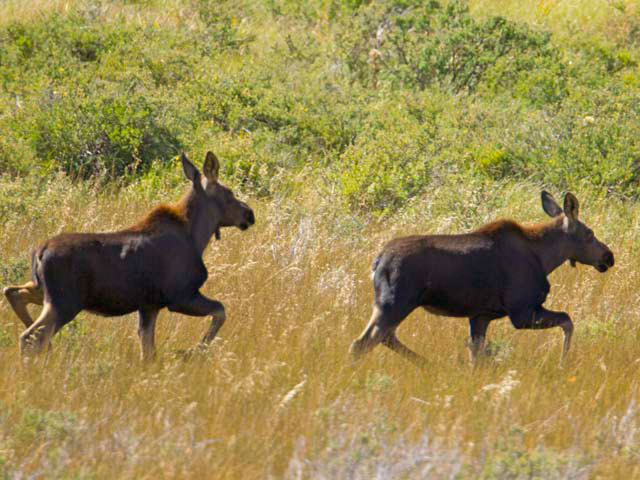 McDonald Elementary have had 2 moose twins hanging around their school this last week. They have been in town for the last month, wondering here and there. Apparently it might have been the mother that was hit on the Troy highway a few weeks ago, so the mother has not been seen with the twins. Some people have been seen feeding the moose (p.s. bad idea to feed wild animals) and that has kept the moose in town longer. Unfortunately tranquilizing the moose to move them to a different location would probably kill them, Idaho Fish and Game says. Hope this helps keep our kids safe on their way to and from school.